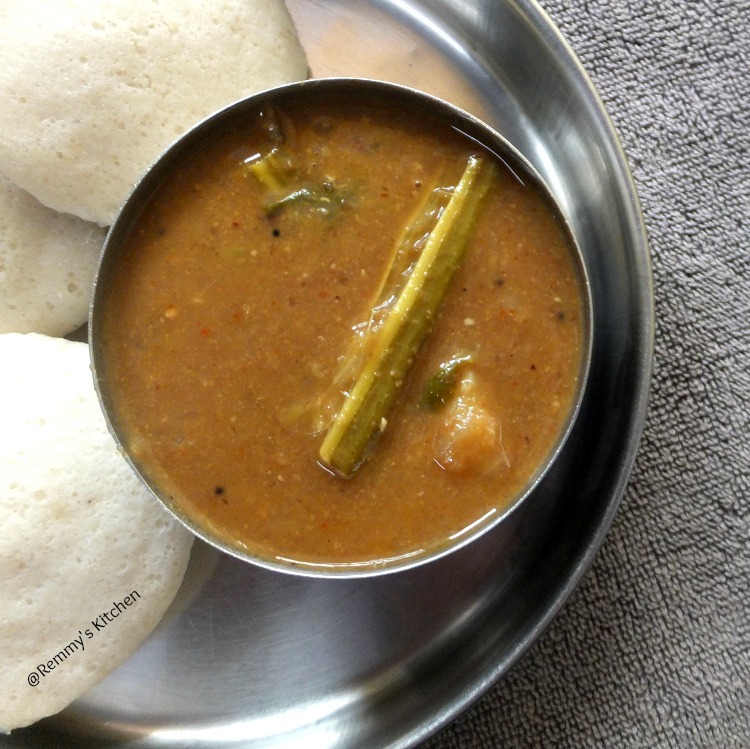 It is a tasty dish and you can serve it with idly dosa and rice.Due to health issues it is better to avoid coconut in gravies but at least once in a while you can try this. Pressure cook thoor dal turmeric powder and small onion with enough water. Cook it well by adding salt. Now add in ladies inger and chopped tomato. Meanwhile heat apan with oil. Add in all the ingredients listed under "to grind".Coconut grated Chana dal / kadala parippu Urad dal / uzhunnu parippu Asafoetida / kayam small block Red chilly Fenugreek / uluva Coriander seeds and Curry leaves . Roast it well till it turn golden brown in colour. Let it cool and grind it in to a smooth paste. Soak tamarind in 1/4 cup of water and take the extract. Add tamarind extract to the cooked veggies and let it boil. Now add ground paste and mix it well. Add in coriander leaves too. Heat another pan with oil and add mustards.Let it splutter. Now add in fenugreek seeds urad dal red chillies chopped onion and curry leaves. Pour the sesoning to the sambar.Sprinkle asafoetida powder. So yummy and great combo!! 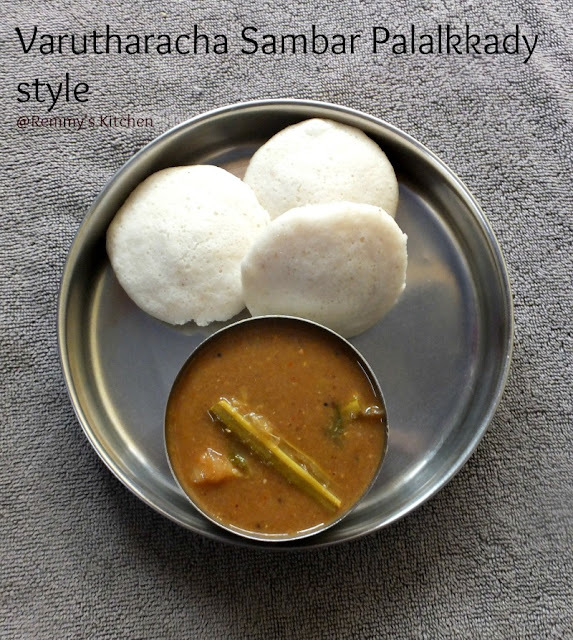 Varutharacha Sambar with Idli, looks yummy and also my favorite combo. I too prepare it in the same way.